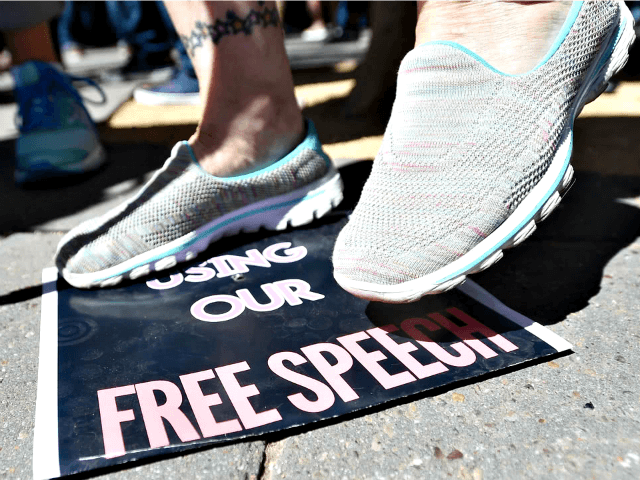 While one does not spontaneously think of USA Today as an embattled defender of free speech, to its credit the newspaper chose to republish a piece from the Detroit News on the subversive speech regulations at U of M.
While this sort of commonsense analysis is daily fodder for serious conservative media like Breitbart News, it is a peculiar—though most welcome—addition to the pages of USA Today and The Detroit News. The Foundation for Individual Rights in Education revealed that at least 231 colleges in the U.S. have similar bias response teams, while insisting that UM is one of the more established. Jacques’ concerns are echoed by Hans von Spakovsky, a senior legal fellow at the Heritage Foundation, who wrote this week that UM’s “bias response team” smacks of East Germany and George Orwell’s 1984. While Jacques’ analysis is worthy of attention, perhaps the bigger story is the willingness of the Detroit News and USA Today to publish it. As two central incarnations of mainstream media, it is to the papers’ credit that they chose to showcase such a countercultural essay. This may signal a slight but significant shift in policy, or simply a momentary editorial oversight that can be quickly remedied with a pink slip.